The name of Holywell Lane is the only clue today of the former existence of Holywell Priory that stood between Shoreditch High St and Curtain Rd from the eleventh century until it was seized by the crown in 1539. Thomas Manners, a favourite of Henry VIII, acquired the lion’s share of the site and he created a rambling mansion for himself by combining the surviving medieval buildings and converting them to his own use for aristocratic banquets and lavish entertainment. And nearby, grand houses for wealthy merchants were constructed facing onto Shoreditch High St. 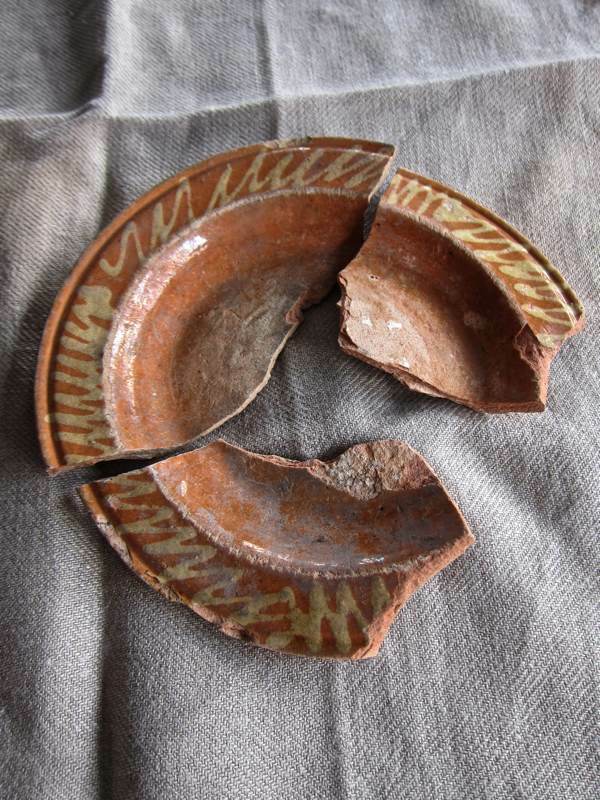 The recent construction of the new East London Line across this site afforded the opportunity to excavate and I paid a visit to the Museum of London Archaeological Archive in Hoxton recently to take a look at some of the artefacts they discovered. Ceramic Specialist, Jacqui Pearce, laid them out on a table for me and we passed a pleasant morning as she took me through, explaining the origin and purpose of each item. The curious onion-shaped Tudor moneyboxes caught my eye first. Manufactured on the Surrey Hampshire border in whiteware and glazed in an attractive mustard hue, these were turned on a wheel and pin-pricked to let the air escaped as they dried. Then the coin slot was cut with a knife and they were dipped into glaze before firing. Jacqui explained that these moneyboxes were sometimes used in theatres to collect coins as the audience entered and then stored in a box until they were full, in a room that became known as the Box Office. 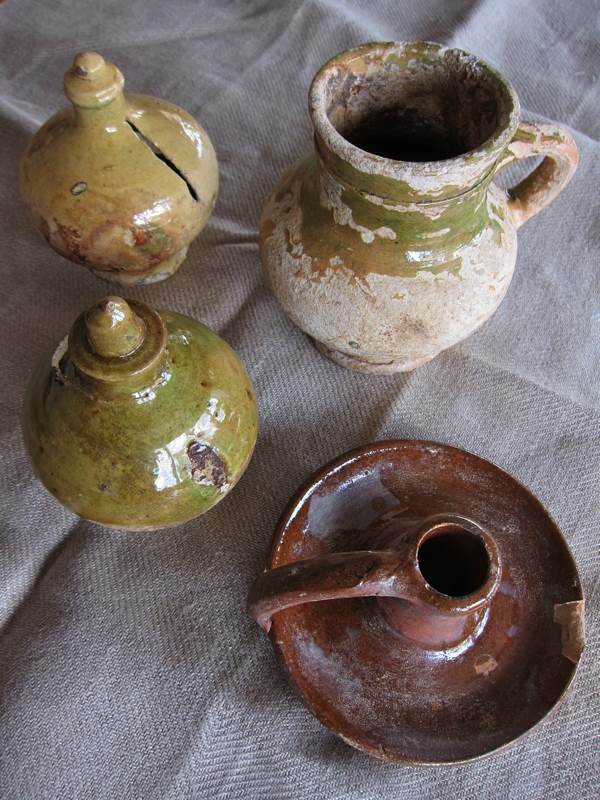 Similar moneyboxes were found at the Rose Theatre site and these discovered in Shoreditch may be connected to the Theatre or the Curtain Theatre nearby. Jacqui pointed out to me the fingerprints of the maker, still visible, and chips around the slot where someone tried to get their money out with a knife centuries ago. 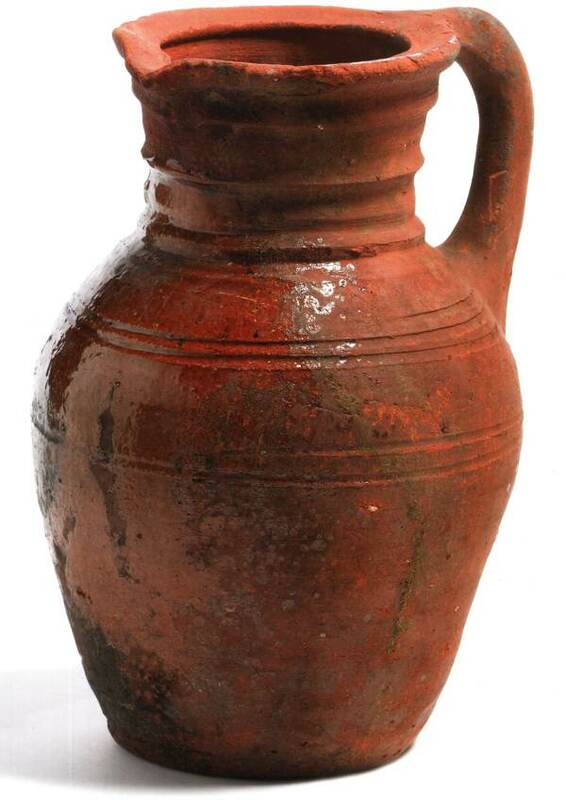 A red clay pitcher made in London of utlitarian design captured my imagination as an object that would have once been familiar to all, as a water or ale jug. Jacqui explained to me that jugs and mugs often have burn marks where they have placed in the fire to warm the ale. 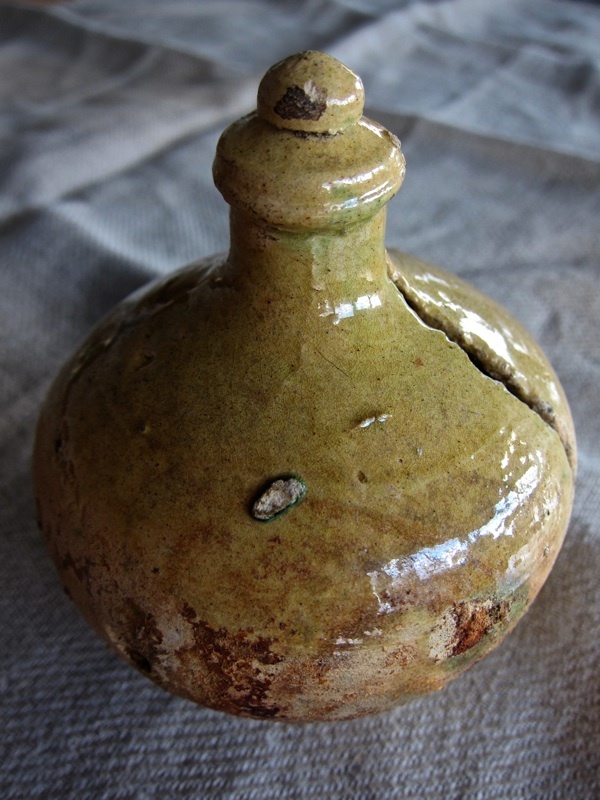 This specimen had a splash of glaze on the front just so that any drips from the spout would run off, while the absorbent quality of the clay permitted the jug to stand in water and keep the contents cool in summer. 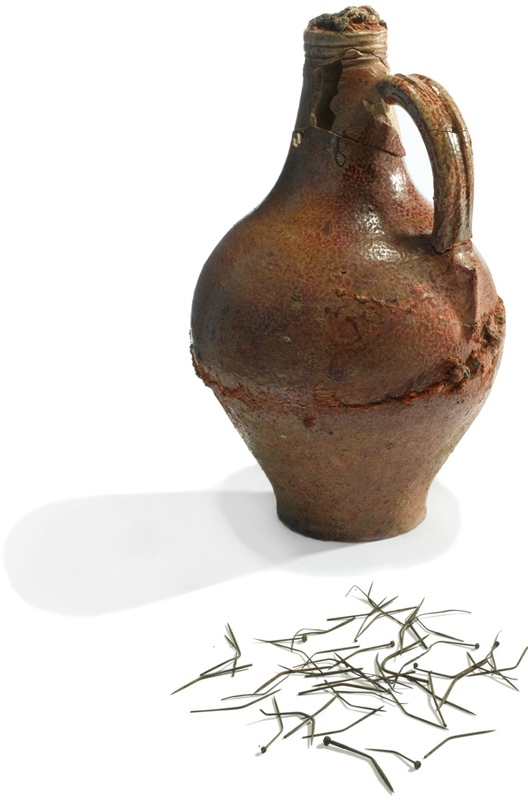 The Holywell Priory would have had elaborate gardens and Jacqui has seen similar examples with a watering can rose upon the front of the jug and others with perforations in the base to deliver a fine spray for delicate plants. 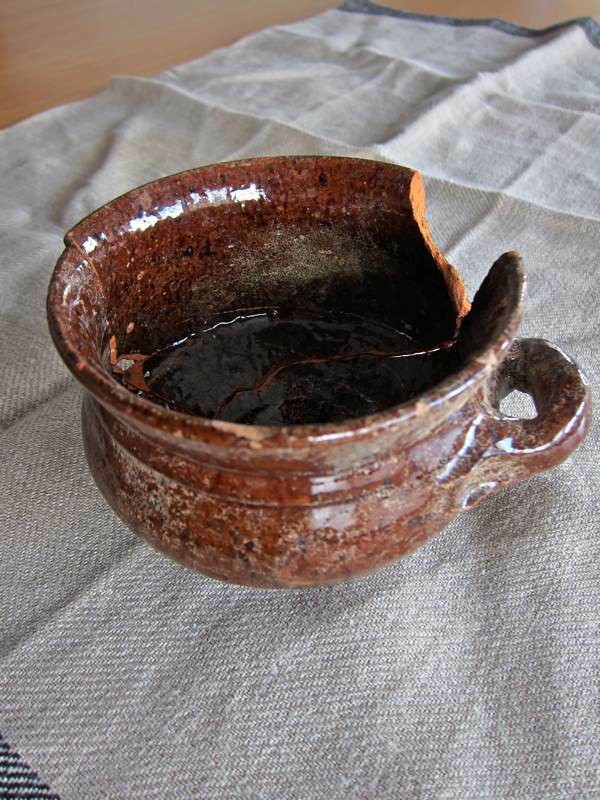 A sixteenth century porringer, with a small handle to grip it comfortably in your hand while eating soup or stew or porridge, was an object that evoked an entire way of life to me, an existence punctuated with innumerable weary fireside suppers after the day’s work. 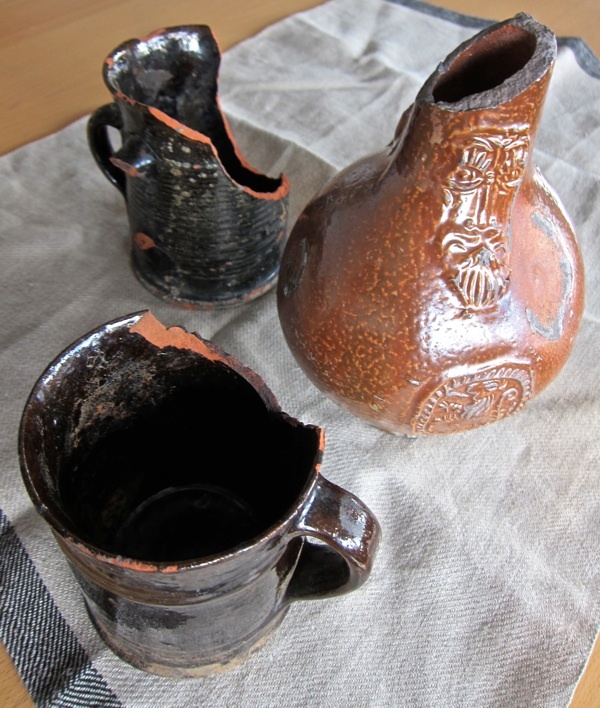 Similarly an imported Bellarmine bottle used to decant wine from the cask and a pair of black-glazed clay mugs – made in Essex and each with a surprisingly fine lip – recalled the life of taverns. These were the common wares that would have been used in the inns that lined Bishopsgate and Shoreditch High St in Shakespeare’s day. It was a poignant experience to spend a couple of hours in the company of these modest, fragile items which spoke of an earlier existence when everything was handmade. Objects that were used daily half a millennium ago in a location that is shortly to be threatened with violent transformation by the imposition of vast high-rise towers. And as I walked back from Hoxton to Spitalfields through Shoreditch, I could barely reconcile the enormity of difference between these two worlds in my mind – the one long-gone and the other lowering like a dark cloud upon the cusp of the future. The disquieting irony is that the excavations required to build this monolithic future will reveal more of our long-forgotten past, before obliterating it for ever. 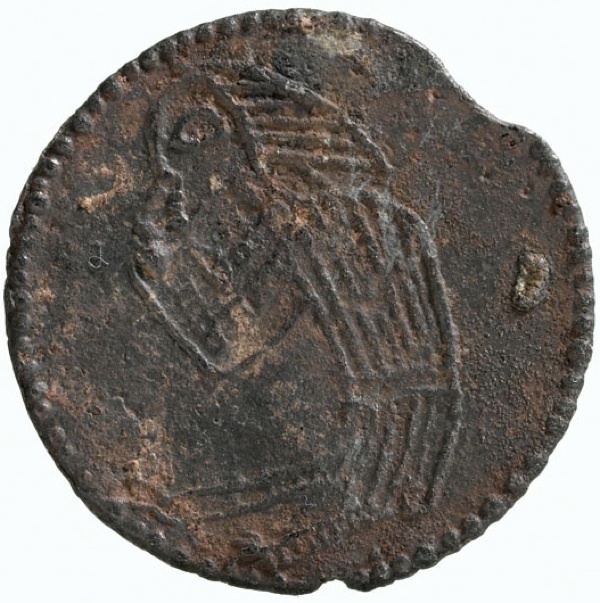 How fascinating to read about these early domestic finds. I love the pattern on the charger. How easy it is to forget that everyone had to use pottery or wooden bowls and plates as there was no other choice. It is sad that all this will be lost beneath the modern world, but perhaps one day years in the future some other interested people will unearth similar charges and share our sense of wonder. Thank you for such an interesting post. Some remarkable designs from the pre industrial era! The flint is really incongruous but they tend to turn up on all sorts of sites. We are digging a Roman fort nearby and sure enough a flint scraper was found on the site. It demonstrates how active man was in the Neolithic period and even earlier. 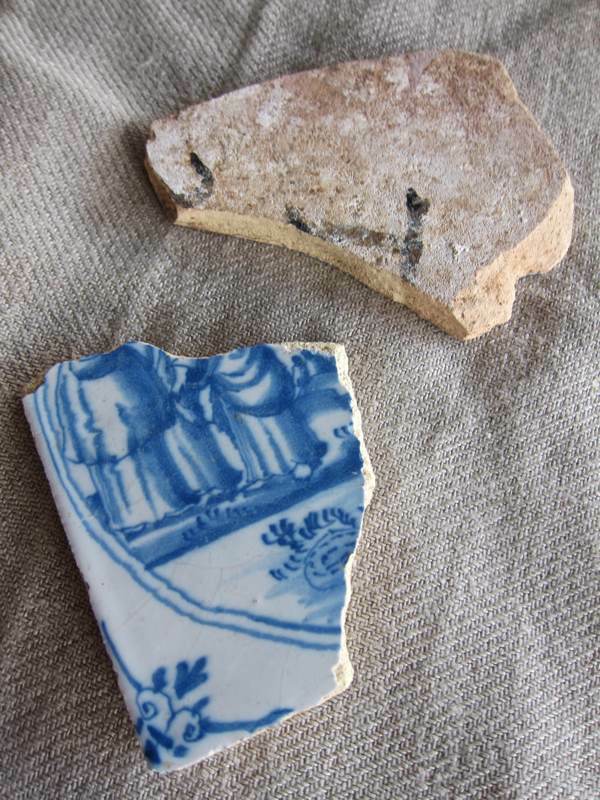 Great artefacts – and that is the irony. Without the brutal development now imminent none of these treasures would have seen the light of day. Finds like this always make one wonder who owned them and what their lives were like, thanks for letting us see them they are fascinating. Here, in Colchester where I live, archaeologists are excavating under a proposed new extension to a department store, and it was reported yesterday that they have discovered a wealthy Roman lady’s collection of jewellery probably buried for safe keeping before the city was destroyed by Boadicea’s army. It consisted of two gold armlets, a silver chain necklace, two silver bracelets, a silver armlet, and a jewellery box containing two sets of gold earrings and four gold finger rings, also buried was a small bag of coins. This is one of the best finds of jewellery ever discovered in Britain but one can’t help feeling sad because, as it was never retrieved, the owner must have died possibly being one of those who took refuge in the Temple where they were all massacred. Surely the nearby ‘box-park’ was established for the sale of such ‘money-boxes’ ? It is interesting to note that some pottery was made in Harlow. 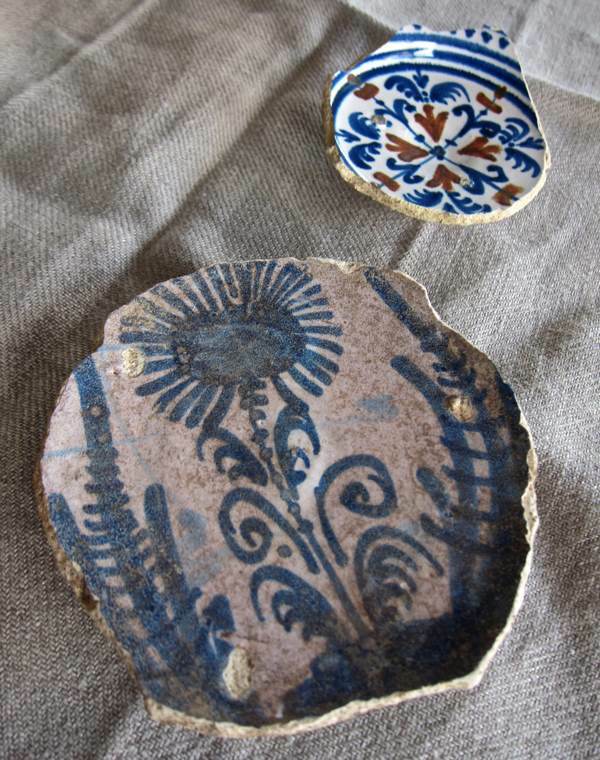 Clay flower pots were made in nearby Waltham Abbey by two companies until recent times. The local clay must have been the reason. I have Hugeunot ancestors who lived in Holywell Lane for some time. They were buried at St. Leonard’s Shoreditch. So I would be very interested to know where the recent archaeological finds will be stored and whether they will be on display anywhere in the future? I am about to manage a large development on the site of the old Priory Abbey of St.John the Baptist on Holywell Lane and have been researching this area extensively. We will be undergoing a 12 week Archaeology period and we expect to discover the footprint walls of the Abbey, an old Gatehouse and many bodies.